“Historical fiction is set in the past, but it is not necessarily about the past”. The words are those of James Aitcheson, speaking at the Winchester Writers’ Festival in June this year, about his latest novel, The Harrowing (1). Set in the aftermath of the Norman Conquest of Britain, in 1066, it follows the intertwined fates of five characters: a Lady and a servant; a priest, a minstrel and a warrior, as newly crowned King William leads his army to pillage the north of England, on a pretext of snuffing out any potential resistance to his realm. Stephen Pinker, in The Better Angels of Our Nature – his thesis that violence is gradually receding in human history (2) – considers narrative fiction as a key “empathy technology”: enabling us to, as Aitcheson put it, walk “in the shoes – and in the minds – of others”, including characters up and down the social scale. The resulting upsurge of capacity for fellow-feeling, among publics in countries where a market for novels emerged as literacy became more widely distributed, helped “set off the Humanitarian Revolution” (3) of the eighteenth-century European Enlightenment. Today, it’s often claimed that Enlightenment values are under threat. A conventional account would attribute their iteration and spread, in social and political domains, to the earlier Scientific Revolution: a transformation of knowledge and ideas bookended by publication of the ‘heliocentric’ theory of Nicolaus Copernicus (the earth orbiting the sun, not the other way round) in 1543, and Isaac Newton’s Principia Mathematica in 1687. The dynamics of the natural world were now to be discovered, through observation and deduction, not ordained by scholastic precedent or church doctrine. Before long, the same principles came to be applied to the ordering of human society. So, for instance, the Divine Right of Kings, claimed by monarchs in England and France, seemed insupportable by comparison, as an organising principle for political authority that was based not on evidence and reason but on myth and mysticism. News journalism, with its remit of factual reporting, grew and spread in the modern era as a way of ensuring that public life would conform, at least notionally, to the same standards. As the legendary war correspondent, Martha Gellhorn put it: “Any form of keeping the record is better than just letting things slip away”. Only now, of course, different records are being kept, by different journalists in different media. Members of “Trump’s base” can avoid inconvenient facts altogether, by confining their consumption to a “bubble” of Breitbart and Fox News. The pattern is less strong outside the US, but still ascendant. In consequence, myth and mysticism are resurgent. Brexit will enable Britons to “take back control”. Corporate tax cuts will lead to “jobs and growth”. Australia’s Great Barrier Reef has a “clean bill of health”. Global warming is a “Chinese conspiracy”. None of these claims withstands more than a minute’s informed scrutiny, but that doesn’t dispel them because, as Trump’s lawyer, the former New York Mayor Rudy Giuliani, told NBC’s Meet The Press recently, “truth isn’t truth”. Such slogans have typically been bolted on, and added a further twist, to political tactics already long in evidence, certainly in the English-speaking world: to foment divisions in the target society and exploit exaggerated fears and resentments towards people who can be portrayed as outsiders. The wave of bombast and prejudice thus unleashed is intended to bypass empathy. In my research on Peace Journalism (4), I saw how the appearance – or otherwise – of refugees and asylum seekers speaking in their own voice, in television news reports, can affect viewers’ assessments of policy responses such as Australia’s concentration camps on Nauru and Manus Island. This year, it was noticeable that, when the US “liberal” media started focusing on families being separated at the country’s border, Trump’s harsh immigration policy began to unravel. Once our fellow-feeling is activated, most of us want to see people treated with humanity. But large numbers are now marooned in a mediascape where this seldom if ever happens. Could it be a moment, then – as it was in the 18th Century – for fiction to play a part in promoting empathy in society at large? There is a great deal of resonance for our own time in Aitcheson’s characterisation of what The Harrowing is about: “a novel that says something about morality, confession and forgiveness, resistance and collaboration, the nature of storytelling, and the plight of refugees”. Similar themes are evident in screen versions of historical fiction. Many who, like me, have followed the outstanding BBC television adaptation of the Poldark stories, by Winston Graham, will have thrilled to its hero, Ross Poldark, as a Social Justice Warrior of his age. Anger over the injustices of Georgian England, as the poor go hungry while a rich elite casually dismiss their claims to a better life, propels him into Parliament. Once there, he takes up the cudgels in what is reckoned to be the first ever popular campaign for human rights: the abolition of slavery. Which brings me to my own venture into fiction. Blood On The Stone is an Oxford detective story of the 17th Century (5). It’s with Unbound Books, a hybrid between a crowdfunding and a traditional publisher. Set in 1681 as Charles II brings the English Parliament to Oxford, its hero stands up for justice and due process to protect members of a persecuted minority: the city’s few remaining Catholics. Agitators incite the mob with tales of a so-called “Popish Plot” against the Crown – which later turned out to be false, but were spread at the time through ‘mercuries’: pamphlets of reportage and inflammatory opinion on sale at every street corner. The reader is invited to look back at the past with a rueful sense of familiarity and recognition from the present. Indeed, the English Restoration seems lately to have attracted more than its fair share of outstanding fictional treatments. Evocation of period detail, combined with tight plotting and suspense, is a combination seldom better presented than in Andrew Taylor’s superb novel of the Great Fire in 1666, The Ashes of London. (I am presently agog over the sequel, The Fire Court, (6) which I have bought and am trying to make time to read). Also published this year is Kate Braithwaite’s The Road to Newgate (7), a gripping and warmly written narrative that recounts how patient and intrepid investigation exposed the “Popish Plot” as fraudulent. In The Plague Road, the new adventure of his London lawyer character, John Grey (8), LC Tyler offers a characteristically witty and absorbing tale of an unravelling political scandal in a convincingly evoked milieu. And the Thief Taker series of CS Quinn – never better represented than in the latest addition, The Changeling Murders (9) – offers a hero who cuts the occasional corner, in traversing the backstreets of 17th Century London, whose exploits are all the more compelling for that. Is it coincidence that so many novels set in the period offer tales of mystery, as well as history? Contemporary interest in scientific advances saw the creation of The Royal Society. Its motto, nullius in verba – take no-one’s word for it – could also serve as a watchword, both for the investigator of crime, and for us as readers of such novels. Is that a false lead? A red herring? Is there about to be a dramatic reveal? In Blood on the Stone, my hero, Luke Sandys – Oxford’s Chief Officer of Bailiffs – is a devotee of scientific methods, but when he is called on to solve a political murder, he must rely ultimately on the yeoman common sense of his deputy, and his own background as a classical scholar, as well as evidence and logic. “The literary imagination is part of public rationality, and not the whole”, the philosopher Martha C Nussbaum has observed, but it is “an essential ingredient of an ethical stance that asks us to concern ourselves with the good of other people whose lives are distant from our own”. Novels, in particular, show “the concrete ways” in which characters “grapple with disadvantage” (10). The detective starts, as do we readers, with the disadvantage of not knowing whodunnit. But all the novels mentioned here concern themselves (in their different ways) with disadvantage in general, and invite our empathy with those experiencing it. It would be too much to expect fiction, by itself, to correct for the shortcomings of today’s journalism. There is emerging evidence, though, that readers may be more inclined to leave their politicised ‘bubbles’ in response to novels than to factual media. Andrew Piper, director of a digital humanities laboratory at McGill University, has compared reviews of novels, posted on Amazon’s Goodreads website, by readers with Left- and Right-leaning political views (11). There are some novels, it was found – Charlotte Bronte’s Jane Eyre being one – which seem to be able to break down barriers, in terms of reader response. Could fiction, he wonders, be a tool for political reconciliation? “The past is not dead ground”, Hilary Mantel observed, in a BBC Reith Lecture some years ago (12); “and to traverse it is not a sterile exercise… the past changes every time we retell it”. Sections of our past are being retold, not only by historians and journalists – purveyors of what has, after all, been dubbed “the first draft of history”. It is also being recounted in novels, and that might just make a contribution to activating humanitarian concerns, not only on their own, necessarily narrow canvas, but for our own politically challenging time as well. Pinker, Steven (2011) The Better Angels of Our Nature. London, Penguin. Pinker, op cit, p 174. Lynch, Jake (2014) A Global Standard for Reporting Conflict. New York: Routledge. Nussbaum, Martha C (1995) Poetic Justice: The Literary Imagination and Public Life. Boston: Beacon Press, p xvi. 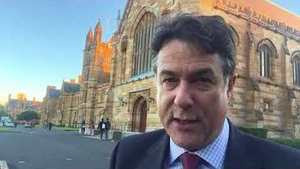 Jake Lynch is a former BBC newsreader, political correspondent for Sky News and Sydney correspondent for the Independent. He is Associate Professor of Peace Journalism and Director of the Centre for Peace and Conflict Studies at the University of Sydney, Australia, and winner of the 2017 Luxembourg Peace Prize. Lynch is a member of the TRANSCEND Network for Peace Development Environment and advisor for TRANSCEND Media Service. He is the co-author, with Annabel McGoldrick, of Peace Journalism (Hawthorn Press, 2005), and Debates in Peace Journalism, Sydney University Press and TRANSCEND University Press. He also co-authored with Johan Galtung and Annabel McGoldrick ‘Reporting Conflict: An Introduction to Peace Journalism,’ which TMS editor Antonio C. S. Rosa translated to Portuguese. His most recent book: A Global Standard for Reporting Conflict (Taylor & Francis, 2016). Anticopyright: Editorials and articles originated on TMS may be freely reprinted, disseminated, translated and used as background material, provided an acknowledgement and link to the source, TMS: Why I’ve Written an Historical Novel, is included. Thank you.